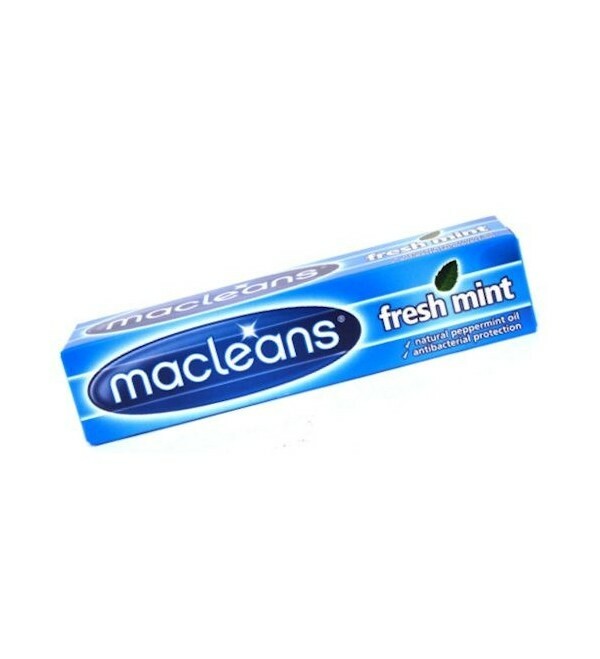 With Macleans Fresh Mint Toothpaste you can feel confident that your teeth look and feel fresha and healthy, giving you confidence in your mouth every day. With Macleans Fresh Mint Toothpaste you can feel confident that your teeth look and feel fresha and healthy, giving you confidence in your mouth every day. Made with natural peppermint oil for invigorating fresh breath.